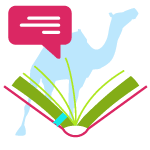 Who can provide Arabic birth certificate translation for USCIS? Home→Blog→Certified translation→Who can do Arabic birth certificate translation for USCIS? Do you need to have an Arabic birth certificate translation for yourself, your mother and your children? 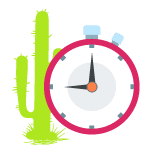 Did you just decide to immigrate to the United States and when you wanted to submit such documents, you find out that translation is needed in order to be accepted by the United States Customs and Immigration Service? 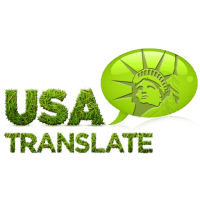 USA Translate understands your frustration and empathizes with you. We understand that you need to have your Arabic birth certificate translation fast and you’re not willing to pay premium for it. The good news is, you can have your certified translation done with us at only $20 per page, and that includes guaranteed USCIS acceptance! This is why we have Arabic translators on our roster who are the best at translating Arabic birth certificates. The Arab region has a diverse range of nations from Egyptians to Qataris to Saudi, etc. And we have experience in handling birth certificate translations from all those countries, whether it was issued from a rural village in the Far East corner of Yemen or in the best hospital of Sharjah. We know the expectations of the USCIS and we ensure that your birth certificate will be translated up to the mark. Arabic birth certificates are issued in a different way from the ones issued in the west. Parentage plays a significant role in Muslim cultures and the birth certificates issued in Arab countries conventionally also have details about the paternal grandfather. The details regarding the child may be documented differently because medical exams are conducted differently in Arab regions. Not to mention, back in the eighties, no prenatal care truly existed in that region so the details of the adult’s Arabic birth certificate translation will lack so much more. We issue certificates of accuracy with every certified translation and we provide accurate translations which are guaranteed to be accepted at USCIS. Such translations are reviewed by the USCIS office and they decide whether the translation is done according to their standards or not. This means that the translation that is being conducted by the translator has to be done in a manner that answers all the requirements of the USCIS office. There are rules for people that can do the translation. For instance, you can’t translate your own birth certificate. A friend could do it for you, but are you sure it will be accepted? These are many freelancers who are providing Arabic birth certificate translation, but you should stick to a well-knows translation agency. In the end, the price is about the same, yet you are sure that the translation won’t be rejected and there will be no delays in your immigration case.